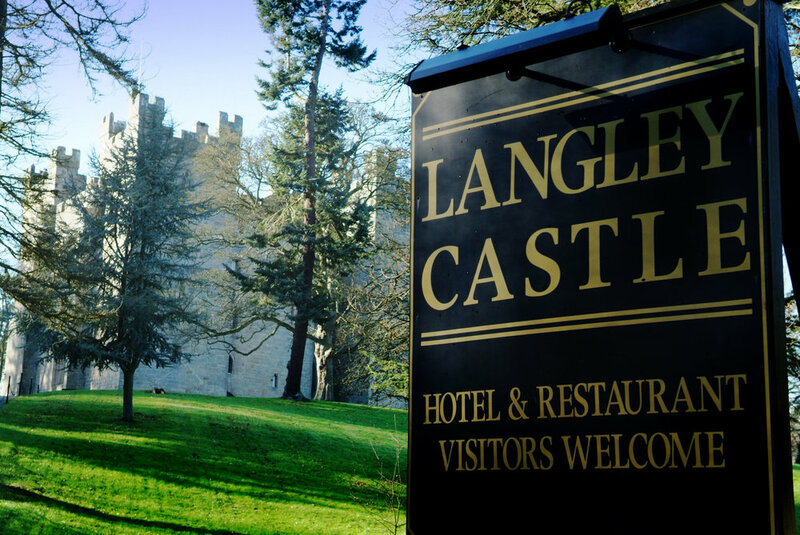 Langley Castle is a genuine medieval keep, complete with four crenelated towers. 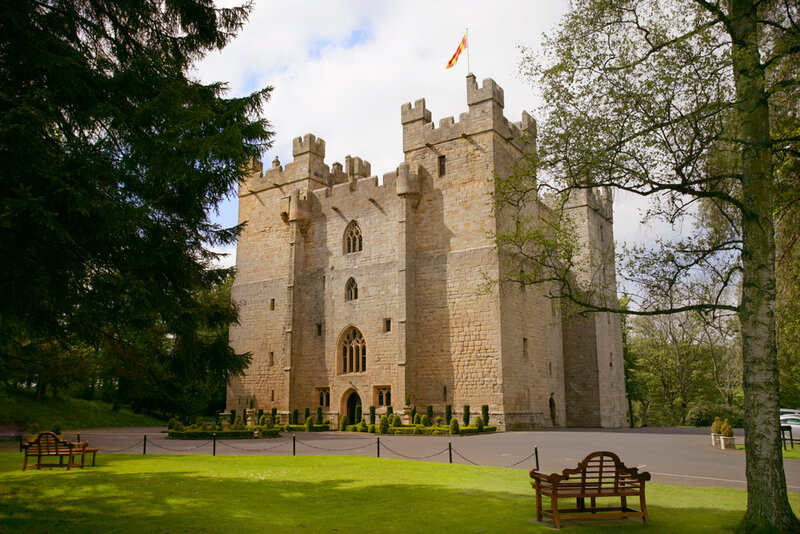 It is a bastion of bygone wars with 10 foot stone walls and Robin-Hood-worthy battlements. 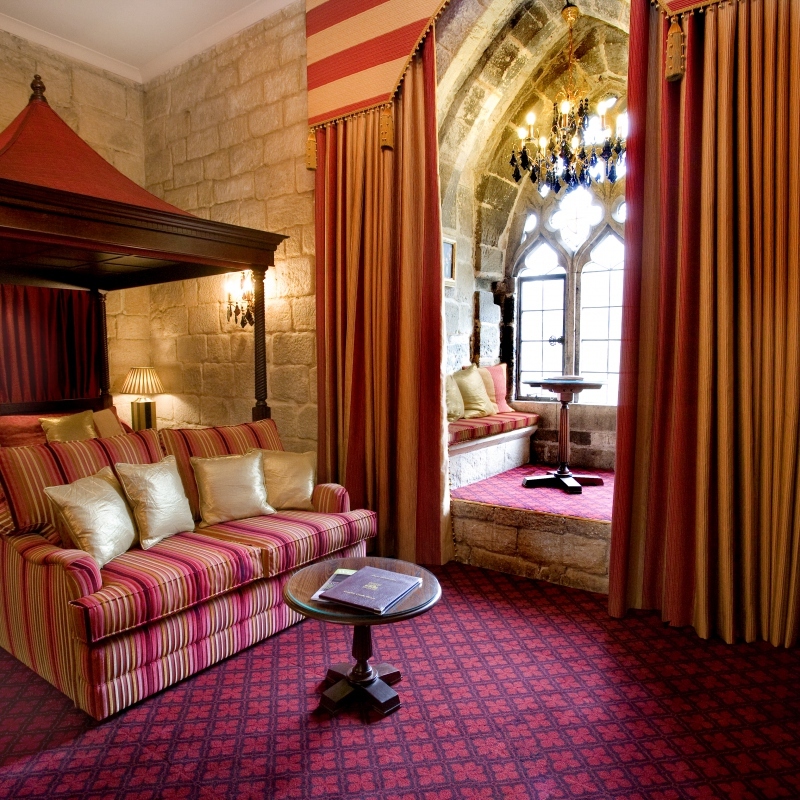 The castle is nestled deep in the heart of ancient Roman territory, in the border territories of old Northumbria. Dungeon Master of Sirens of the Realms for twitch.tv/Dnd, founder of CelebrityChariD20.com, creator of Meetup.com/LAtabletopGamers. Game Master for 8 years. Player for 23 years. Her DM specialty is story driven mini series. Heavy “rules light” cooperative Role play with a focus on character interaction and reactions. Decorated US Army OIF/OEF Veteran, Actor, Writer, Voice Over, and Award Winning Dungeon Master & Guild Adept and Lead Designer of the platinum selling Xanathar’s Lost Notes to Everything Else. Lead rules designer of Dungeons & Dragons, lead designer of the Player's Handbook, and the game's managing editor. Elisa Teague is a tabletop game designer who has worked on well over 100 titles, both board and card games as well as RPGs. A veteran of the game industry of 18 years, her most recent titles include Betrayal at House on the Hill: Widow's Walk, Apocrypha Adventure Card Game, and new versions of her hit geeky trivia party game, Geek Out!, as well as adventure modules and content for RPGs such as Kids on Bikes and Dungeons and Dragons. 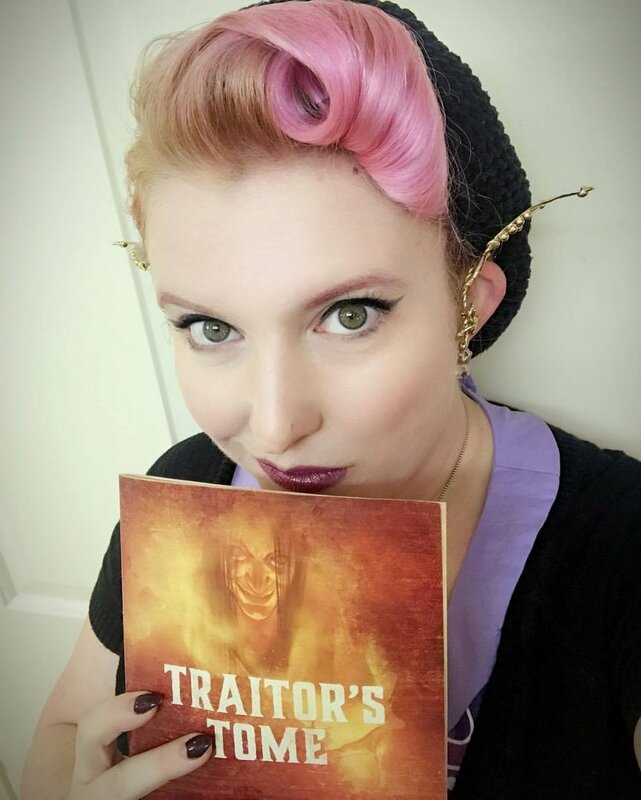 She recently wrote the first Competitive Epic for D&D Adventurer's League ever written by a woman, and it was filled with puzzle challenges - a specialty of hers as a puzzle designer for various books, escape rooms, ARGs, and corporate events. As a GM, her story-telling style, props and visuals, as well as creative encounters take the crunch out of gameplay and put the emphasis on an welcoming roleplaying environment. Her Dming style is definitely more story-driven and heavy on outside-the-box thinking and puzzles. She can deal with crunchy players with no problem, but the best fit for me will be players who really want to delve into the story and find creative solutions to encounters. I bring my A-game with visuals and props, which will really add to the experience. Newer players who are scared of memorizing all of the details will also be a great fit, because they can just tell me what they'd like to do, and I will tell them what they need to roll - no problem! I like to provide a very welcoming space at my table. James Introcaso has run D&D games for 23 years. He writes GM and game design tips for D&D Beyond and his ENnie-winning blog, World Builder Blog and has written best-selling content for Wizards of the Coast, Roll20, the DM's Guild, and Kobold Press. James is the co-owner of the Don't Split the Podcast Network, where he runs actual play games for the popular podcast DSPN Presents and dispenses GM advice on Table Top Babble. When it comes to personal GM style, James tells collaborative, player-driven stories with any group of people willing to roll dice. He enjoys teaching new people how to play and helping jaded players rediscover what makes the D&D so dang fun. With James, you can try anything, go anywhere, and you'll never be railroaded into an adventure you don't care to play. Expect voices, jokes, descriptive combat, and multiple approaches to every obstacle when you play with this guy. If a group is struggling with where to go or what to do next, James is there to provide a helpful nudge or kobold passerby with helpful information. The more comfortable people are at the table, the better and more immersive the experience is for everyone. The GM Tim is a Professional Game Master and Gaming Host in Vancouver, Canada. He is the Tabletop/Roleplaying Game (RPG) Coordinator for GaymerX; the former Western Canadian Regional Coordinator for the Dungeons and Dragons (D&D) Adventurers League; a Playtester for D&D; and a DM Trainer for Baldman Games and is a RPG Judge, at GenCon, Winter Fantasy, and Goblin II Golems. As a contributor to the Commentist Podcast Network, he GM three Liveplay Podcasts and has some exciting projects rolling down the tower. 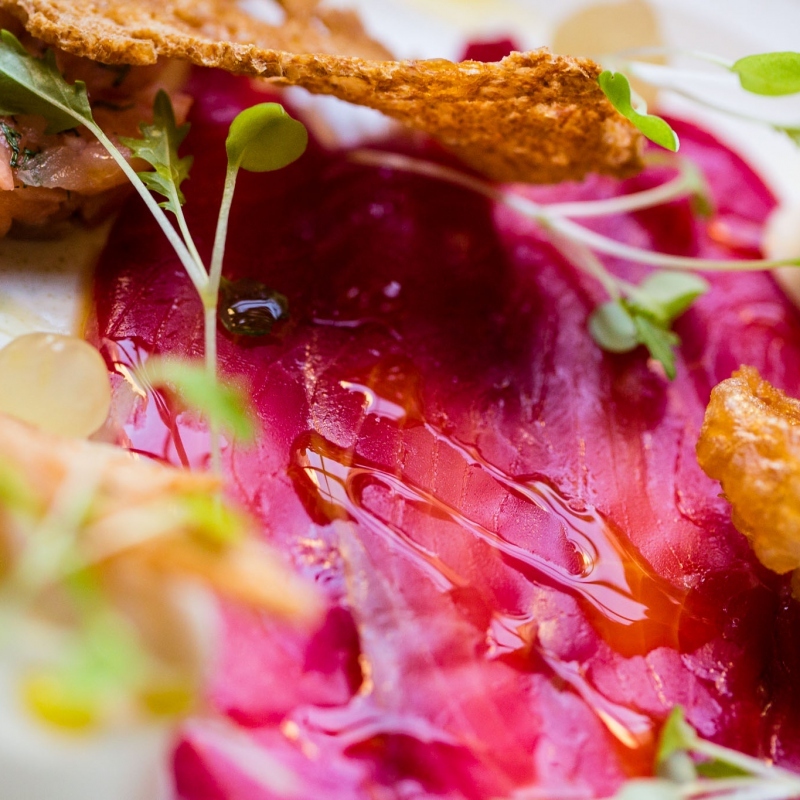 He's a Theatre of the Mind GM who bring all of his experience and passion to every table. Using verbal artistry to paint the scene, he weaves a story like no other that reverberates in a players mind. 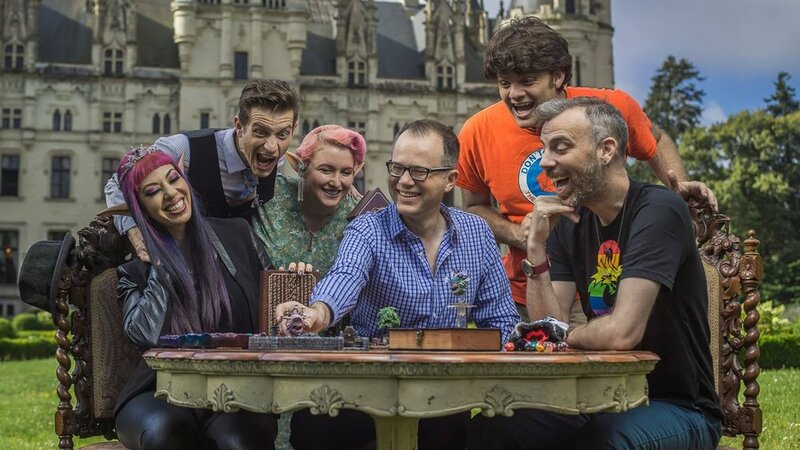 TJ Storm is a long time gamer who has appeared on Critical Role as well as Geek & Sundry’s GM Tips with Satine. You may also know him for his work on Marvel’s Deadpool and Captain America: Civil War as the motion capture martial artist for Colossus and Iron Man. He is a dynamic DM and human being, and we are thrilled that he is able to join us at the castle..
Stefan is the Founder and CEO of Dwarven Forge. He is a craftsman and entrepreneur that has been a cornerstone of the recent D&D Renaissance. Stefan’s DMing style is theatrical to say the least. He works very hard on his games to create an experience for players that is immersive and artistic. Nerdarchy will be also joining the castle to run one-shots and make sure no one goes one minute without a game to join.